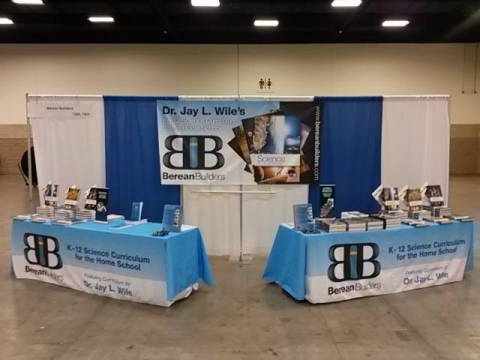 My publisher’s booth at the Texas Homeschool Convention. 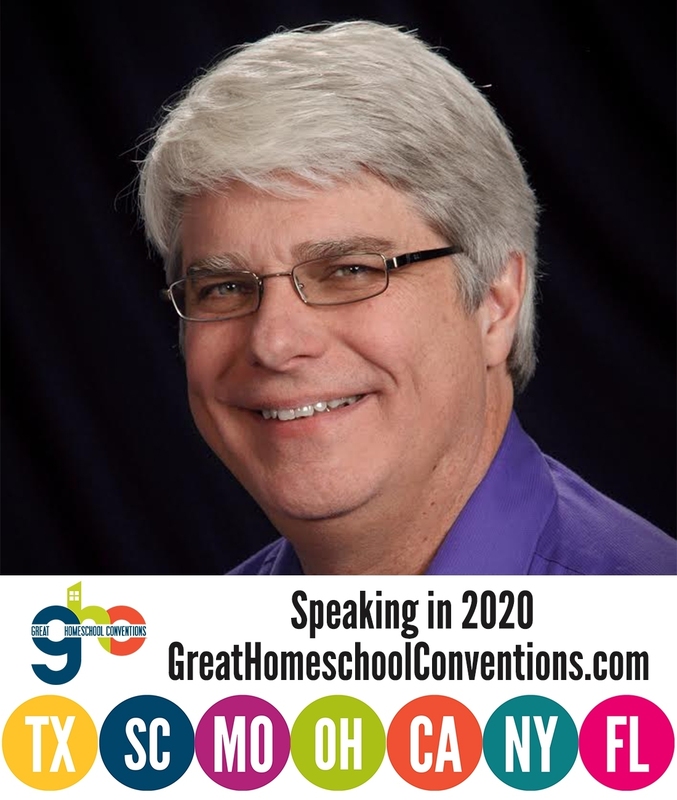 Last weekend, I spoke at the Texas Homeschool Convention. I already wrote about meeting Holocaust survivor Inge Auerbacher and hearing her talk at the convention, but now I want to discuss some other things that happened there. It was a bit early for a homeschool convention (most of them run from mid March to late June), and it was the first time this convention had ever been held. As a result, I had no idea what to expect. I was incredibly surprised by the large attendance, and like the other Great Homeschool Conventions, this one ran quite smoothly. Overall, I was very pleased. I gave a total of five talks: Creation versus Evolution: Religion versus Science or Religion versus Religion?, The Creatures and Biological Structures Evolutionists Don’t Talk About, What I Learned by Homeschooling, College and Faith: What’s The Real Story?, and Reasonable Faith: The Scientific Case for Christianity. I had lots of good questions after the talks, one of which I will discuss below. However, before I discuss that question, I want to report about a few encounters I had at the convention that were particularly meaningful. The first happened when I was at my publisher’s booth (pictured above). I typically hang out there between talks so I can answer questions about my courses and talk informally with the convention’s attendees. Early in the convention, a mother came by the booth and told me about her son. In early high school, he planned to go to college and get a degree in law or political science so that he could get involved in politics. However, he took my chemistry course in 10th grade, and soon after that, he changed his mind. He is now a chemistry major at university, and he plans to continue on to get his PhD! He credits my chemistry course for sparking his love of chemistry and helping him do so well at university. Now, of course, I love stories like this. However, that was just the beginning. Later on, a high school student came to talk with me. He said that he was planning on studying Russian at university, but after taking my chemistry course, he has decided to major in chemistry! I thought it was pretty amazing to hear two such “conversion” stories at one convention, but then I heard yet another. A high school student came to me and told me that she really didn’t know what she wanted to do with her life, but after studying two of my courses, she has decided to major in some scientific field when she goes to university! This isn’t the first time I have heard “conversion” stories like these, but hearing them at this convention was particularly meaningful, because I had recently finished Bill Nye’s awful book, Undeniable. In that book, he claims that students who are taught creationism will “never feel the joy of discovery that science brings.” In my review of the book, I said that this is demonstrably false, as I know several students who have said that using my creationist science courses caused them to study science at university. Some of them have graduated and are now doing scientific research. However, Nye’s ignorant statement was still fresh in my mind at the convention, and these three different personal encounters at the convention confirmed how incredibly wrong it is. Now for the question. In one of my two creation-related talks, an attendee asked whether or not it troubles me that my views on origins are at odds with the vast majority of the scientific community. I told him that’s an excellent question, and my answer to it would be different depending on when he asked me. When I was a young scientist, it bothered me a lot. I had scientific role models to whom I looked for guidance, and they were materialist evolutionists. Most of the colleagues with whom I worked were also materialist evolutionists. We had many informal debates on the subject of origins, and I always felt like they “ganged up” on me. In addition, as a PhD nuclear chemist, there were issues related to the origins debate that I wanted to do experimental research on. However, there was simply no way to get the funding, and nuclear chemistry experiments require a lot of funding. Any research proposal sent to the major granting organizations, like the National Science Foundation, would be immediately axed if it had any inkling of young-earth creationism. As a result, I applied for and received grants to study other very interesting issues in nuclear chemistry. However, I always felt a bit stifled by the fact that I could get funding for some research initiatives, but not others. However, the older I have gotten, the less important these issues have become. I still do look up to several of the scientific role models I had when I was younger, but the older I have gotten, the more I have come to realize that even the most talented of scientists can be wrong. This has been driven home in a particularly strong way over the past few years, as I have been writing my new elementary science series, which is based on history. Over and over again, the history of science shows us that incredibly talented scientists whose research was the product of particularly innovative thinking were wrong on a variety of issues. In addition, over and over again the history of science shows us that real scientific advancements were made by one (or perhaps a few) “renegades” who dared to question the scientific orthodoxy of the day. So these days, the fact that my views don’t line up with the scientific consensus when it comes to origins (or global warming) doesn’t bother me in the least. After all, I could be wrong, but as the history of science clearly shows us, that’s not very unusual. A lot of good scientists have been wrong about a lot of things. However, the history of science also shows us that often, the scientific consensus is wrong, and the people who dared to challenge it ended up advancing our understanding of the world. The good news is that science will advance regardless of whether I am right or wrong. If my views on origins aren’t correct, my courses have still encouraged many students to study science so that they can determine that I am wrong. If my views on origins are correct, my courses have encouraged many students to study science to demonstrate that I am right. Most likely, however, my views on origins are partly right and partly wrong. Once again, the students my courses have encourage to become scientists will help advance our knowledge to the point where we can figure all this out. As a result, I have to do and teach science the way my scientific training and research have guided me, regardless of what the scientific consensus says. That’s the only way I know to advance science. It was a pleasure to meet you there and to look at your science books. There are so many curriculums to choose from and I appreciate that you took time to be available at this convention to talk to us and display your books. The books look wonderful! Thank you so very much for the printouts of your talks! I teach your Apologia Biology to high-schoolers at a homeschool academy. I appreciate your up-to-date articles and information. I often refer my students to your blog articles and debates. Do you know if you will be at any conventions in Georgia this year? I have read several of your articles about home-schooling. I was just curious, do you think there are strictly educational reasons for home-schooling or biblical implications as well? Olivia, there are Biblical implications as well. The Bible tells us that we must train our children in the way they should go (Proverbs 22:6). We must all choose our children’s education so that we can do that. For some families, homeschooling is the best way to get that done. Yes! Finally something about home schools in texas.